The first day of our group service projects in Lima, Peru was amazing. 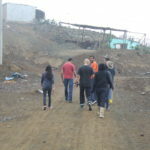 Our team of 24 spent the day at a mountain side village called Villa Maria. 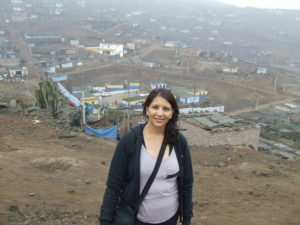 The local school (yellow and blue building behind me in the picture) was the site of the Medical camp hosted by the Alcansa church and Camino De Vida. Local doctors, nurses, pharmacists and church volunteers along with our team provided free services to the locals in the village.Everything from a physical exam, dental check-up and flouride treatments, to nutrition advice & dispensing of medication was offered at no cost to anyone who wished to come in. Young children had their faces painted and had an opportunity to play and interact with the kids in our volunteer team. The most unique thing about today was the fact that we actually had to walk or rather hike the dirt roads of the village going from house to house announcing the availability of the free clinic. As we went around the village, we had the awesome opportunity to see how the locals live in the mountain villages of Lima, Peru. Stay tuned for more as we go through the next week working on various service projects and experiencing some of the amazing sights of Peru.